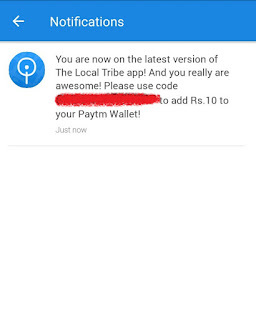 Local Tribe App Paytm Cash Loot Trick - Get Free Rs. 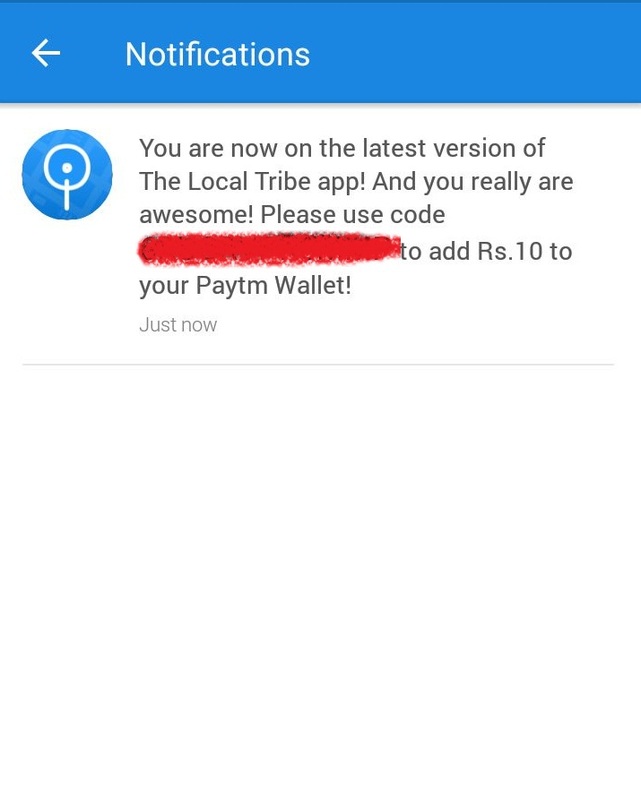 10 Paytm Voucher Just By Downloading Local Tribe App. You can Buy or sell things easily, Chal Privatly, Discover neighbourhood and city by using local tribe app. So Hurry up and Grab this Paytm Cash Loot Offer. 2. Open App & Sign Up With Google Or Facebook. 3. On Next Step Verify you phone No. Via OTP. 5. Now Wait For Atleast 15 To 20 Min. 6. You Will Get Rs 10 Coupon In App Via Notification. 7. Now Use Paytm App To Add Rs 10. Helps save money: Don’t buy things which you can rent or borrow. An enfield bullet. Make money: Sell things which you don’t want. Teach a skill. Sell old bicycle. Make friends: Share things or giveaway things, which you don’t use anymore. Giveaway football boots.